Somewhere between Hollywood and your earbuds is a rest stop known as the Cinema Playground. A roadside attraction for Movie Trailers, Movie Quotes, Movie News, and a little something we like to call the Cinema Rant. Somewhere between Hollywood and your earbuds is a rest stop known as the Cinema Playground. A roadside attraction for Movie Trailers, Movie Quotes, Movie News, and a little something we like to call the Cinema Rant. Now its time to test your movie quote skills with the Cinema Playground: Screen Test. Go ahead, make my day. Three Clint Eastwood movie quotes on this week's Cinema Playground: Screen Test. Strange things are afoot at the CircleK. We play 3 movie clips. You guess the movie. Sounds like somebody's got a case of the Mondays. Uh-oh. Sounds like somebody's got a case of the Mondays. Three company workers who hate their jobs decide to rebel against their greedy boss. This week's challenge features nine legendary actors. Can you correctly order them according to their age? We're back with 3 more memorable scenes on this week's Cinema Playground: Screen Test #93. In this lightning fast 3 minute podcast we play 3 movie clips and you guess the movie, the actors, and the year of the film. Mr. President, it's your Cinema Playground Screen Test #92. 3 presidential-related movie quotes this week. Name the movie, actor playing the president, and the year of the film. This week's Cinemaplayground Screen Test || Freeze Frame features 9 sports teams in the movies. How many movies can you name? Hail to the Chief! This week's Screen Test || Freeze Frame #3, we nominate 9 fictional presidents. How many movies featuring these presidents can you name? 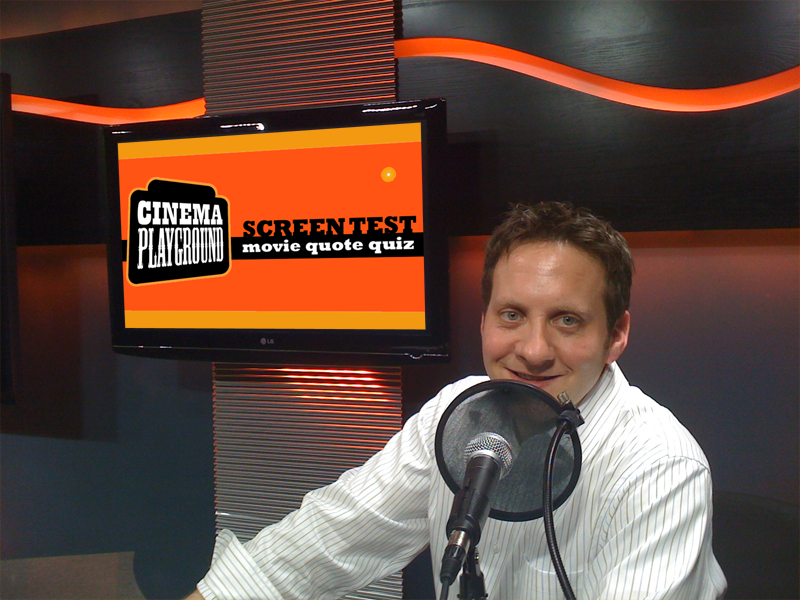 We rewind back to episode #66 for three car related trivia question on this week's Cinema Playground: Screen Test..